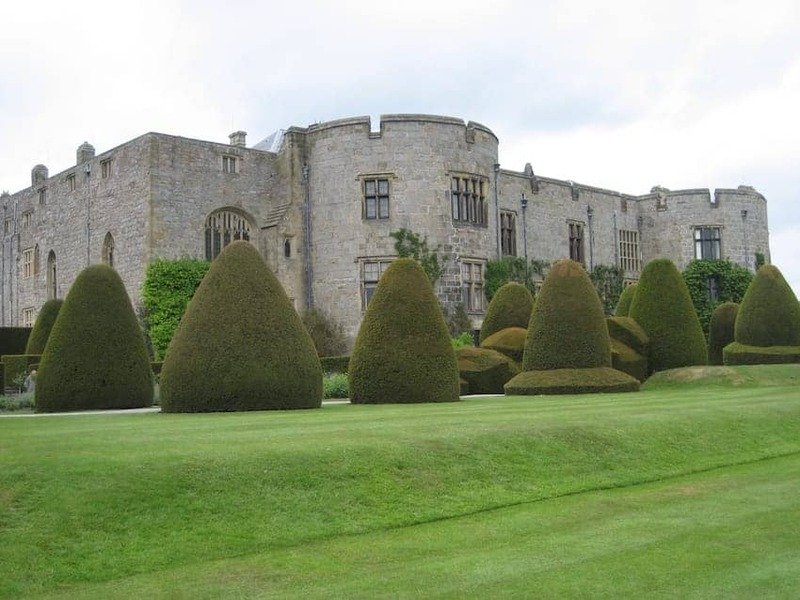 Chirk Castle located near Wrexham, Wales was built in 1295 by Roger Mortimer de Chirk, as part of King Edward I's chain of fortresses across the north of Wales. It guards the entrance to the Ceiriog Valley. The 14th century Adam's Tower has a magnificent dungeon on two levels and a number of rooms clearly showing the 5m-thick walls. Two of them contain 'murder holes', through which anyone trying to batter or burn down the doors below could be attacked. The castle was bought by Sir Thomas Myddelton in 1593 whose family resided at Chirk Castle until 2004. Now owned by the National Trust.